This weekend Handel’s Messiah gets pulled out at the Classical Girl household, an annual event during Triduum (more formally referred to as the Paschal Triduum), that three-day sacred period commencing with Holy Thursday and culminating with Easter. Although Messiah was written in three parts to depict Jesus’ life and resurrection, and therefore works for Christmas as well as Easter, it has Easter morning written all over it for me. Check out my blog about it HERE. Messiah is an oratorio, which is sort of like an opera without the acting, grand pantomiming and expensive sets, and tells a sacred story, not a racy one. Handel composed over twenty oratorios. He’d composed plenty of operas (final tally: forty), but they were more expensive to produce and the popularity of his opera works had begun fading. In 1741 he decided to take a break from it all, and leave his London base for a sabbatical in Ireland. It was here that he composed Messiah. It premiered in Dublin on April 13, 1742, during Easter season. 1) The original [German] spelling and pronunciation of George Frideric Handel’s name is Georg (GAY-org) Friedrich Händel (HEN-del). His father was a barber-surgeon (I know, right?) and Georg’s original game plan for life was to study and enter the practice of law. While in law school, he started playing the organ for a local church, and, well, that started the composing music ball rolling. 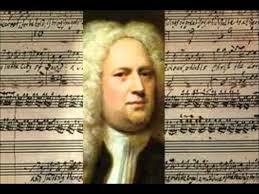 2) Handel was British but not, just like King George I was British but not. King George I was German-born, from Hanover. Before the young Handel moved to England, he’d served as Kapellmeister for George (then the Elector of Hanover) in Germany before he became King of England. Once they were both in England, well, it was likely an easy choice to stay affiliated. Handel loved England, and 1726 he became a naturalized British subject. 3) By 1741, Handel had fallen deeply into debt, and was even threatened with debtors’ prison. Instead, he departed to Ireland for a sabbatical, where he wrote his Messiah. 5) In spite of the fact that Handel himself was in bad shape financially, he premiered Messiah in Dublin as a benefit, to help out some of the inmates stuck in debtors’ prison. The benefit performance was a rousing success, and 143 debtors were released from prison as a result. 6) As a gesture of thanks, Handel’s Irish backers returned the favor by paying off some of his own London debts. 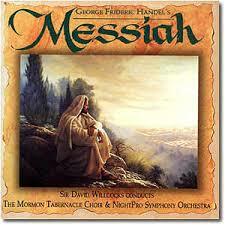 9) The complete oratorio of Messiah has fifty movements, but it was otherwise a modest production. In the years after Handel’s death, Messiah was adapted for performance on a much larger scale, with giant orchestras and choirs. Mozart, as well as a few other composers, played around with it, offering a fresher (at the time) adaptation. Today you can buy the Mozart adaptation, the original, an abridged version, popular excerpt version, Part I & II version, etc. 10) Audiences typically stand during the “Hallelujah Chorus” movement of Messiah. One story as to why dates back to when King George II (son of King George I) heard it being performed for the first time. Story has it, he was so dazzled, so overcome with emotion, he rose to his feet automatically. And when the king rises, all rise. So, there it is. Fact or myth? You make your own call. Oh, Mr. Handel. That, you did. And for that, the world will be forever grateful. Share the post "10 odd facts about Handel’s Messiah"
This entry was posted in 10 Things, Classical Music and tagged Different versions of Handel's Messiah, George Frideric Handel, Handel and London's Foundling Hospital, Handel fallen into debt before Messiah, Handel's sabbatical in Ireland, Messiah debut in Dublin, The Messiah and London Foundling Hospital, was Handel German or British on April 15, 2017 by admin. Good stuff, Terez. Here’s a fun fact about Handel, or so I was told when I lived in London. He played the organ at the opening service of the newly built St Martin-in-the-fields church, the one that still stands so beautifully today. Ahhh, history architecture, art, oh my! Way cool fact, Annette! It must have given you chills to be in there and think about it, huh?